Ok so if you saw my Polynesian Monoi Radiance Oil post you know I bought a lot in The Body Shop recently so I have been trying out new products which means today I am talking about a product from the Drops of Light range called the Pure Resurfacing Liquid Peel. 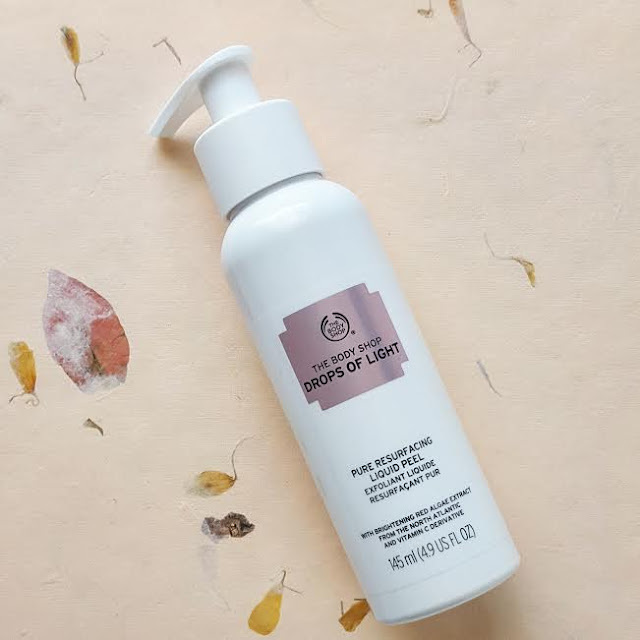 The Body Shop seems to split their products by ranges, whether it be by scent or by specific ingredients, however I found myself looking at the Drops of Light range and very nearly picked up the Brighten Serum until I saw the Resurfacing Liquid Peel and thought it sounded really different so I had to give it a go really. I don't quite know how it does it but essentially it is a gel that kind of draws out impurities and removes dead skin to leave behind a much smoother and brighter appearance. 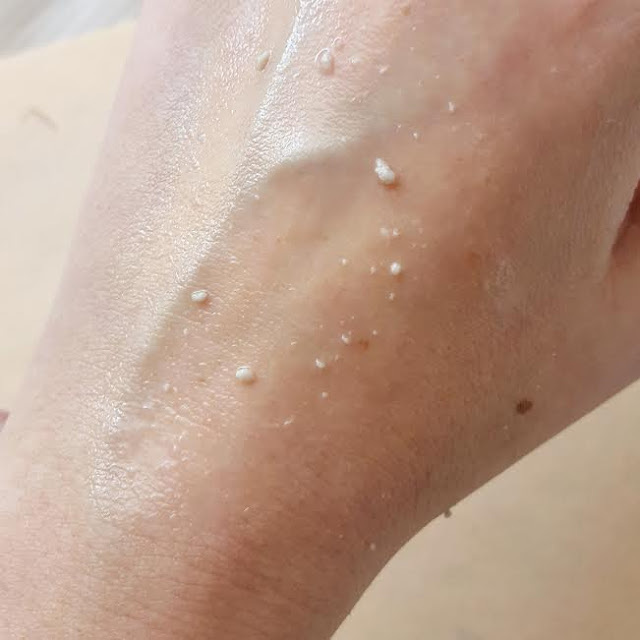 I was seriously impressed with how smooth my skin looked after using it for the first time, but I must admit all those little clumps was a bit grim but doesn't put me off using this product at all. I have read some reviews on this product since buying it an a lot of people say it's really drying on their skin but I have sensitive skin and I don't have any problems whatsoever with this peel. It's something I use 2-3 times a week just because my skin can be really fussy I don't want to use it too much but each time I fall in love with it! I actually left the house the other day without any face make up on and felt really happy with how fresh my skin looked! This one is £18 for 145ml so again it's a little pricey but it's a really unique product! Have you tried anything from the Drops of Light range?